Jackson State University operates the FM public radio station, WJSU, on an assigned frequency of 88.5 MHZ and a Production Training Center. The station and center are designed to meet the educational, informational and cultural needs of Jackson State University and the greater Jackson metropolitan community. Together they provide practical experience for students majoring in Mass Communications and continuing education for established broadcast and recording professionals. 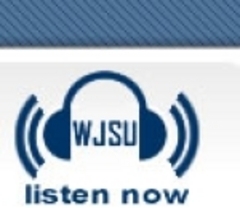 WJSU-FM operates on a seven-day week, 24-hour broadcast schedule. The station airs local programs of jazz and blues as well as news programs such as NPR's Morning Edition. It has programming featuring JSU students, faculty, alumni, and the community as a whole. Studios are located off campus at the Mississippi eCenter at JSU.